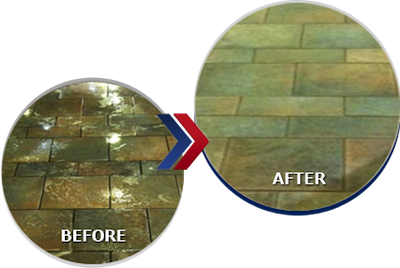 Searching for reliable technicians to perform tile and grout cleaning in NJ? At Best Way Carpet and Tile Cleaning, you can be sure that your home or business is in fantastic hands and that you’ll work with a team that has your best interests in mind. Going above and beyond to ensure that your tile floors are always ready to impress. At Best Way Carpet and Tile Cleaning, our technicians are trained to determine the best solutions to keep your home or business in its best shape. Tile and grout cleaning, one of our many services, is a fantastic way to keep your floors from looking dull and dirty. Choose tile and grout cleaning when you’re looking for a deep clean and prevention methods. The technicians at Best Way Tile and Carpet cleaning recommend that you have your floors professionally cleaned and sealed every 6 to 18 months. This will ensure that your business is always prepared to impress customers and clients, and that your home is ready for any event that might come up. If you’re considering professional tile and grout cleaning in NJ, the team at Best Way Tile and Carpet cleaning is ready to help. Whether you give us a call to schedule tile and grout cleaning, carpet cleaning, upholstery cleaning or floor waxing, the team at Best Way Tile and Carpet Cleaning can ensure that your home or business is ready for anything. Whether you’re looking for tile and carpet cleaning for your home or business, the technicians at Best Way Carpet and Tile Cleaning can help. Choose our professional tile and grout cleaning service for kitchens, bathrooms, entryways or wherever you might have tile or grout. In order to make it as easy as possible for our residential and commercial customers to keep your home or business as clean as possible, we are proud to offer a variety of other services designed to help keep everything in order. Give the team at Best Way Carpet and Tile Cleaning a call for carpet, upholstery, tile and grout cleaning, floor waxing and even flood services. To learn more about our tile and grout cleaning or any of our other services, give us a call at 732-391-6500 and visit us online at bestwaycleaning.net. This entry was posted on Wednesday, June 19th, 2013 at 10:19 am and is filed under Tile & Grout Cleaning.